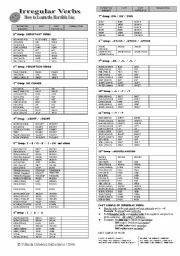 I have some students who have problems to learn the irregular verbs and they can´t distinguish the regular ones from the irregular. 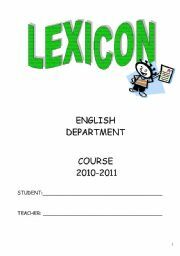 I´ve prepared this worksheet for them, they are the basic ones. We are going to do different activities with them. I hope you like it. Students try to complete the song before listening to it. 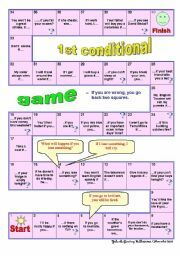 A game to practise 1st conditional. Students work in pairs or fours. They practise speaking too. 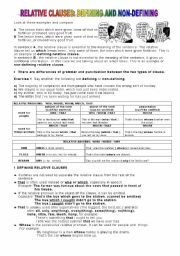 Agrammar-guide with an exercise to distinguish defining and non-defining relative clauses. My students had some problems to understand them. I hope you find it useful!!! 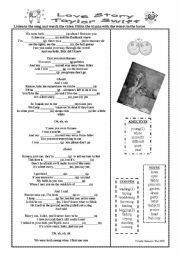 A worksheet for special needs students. 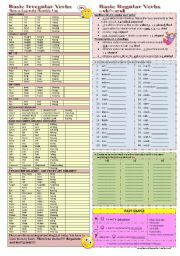 This is the first one of a series of worsheets I´ve prepared for students with learning disorders, down´s syndrom and autism. I hope you like it. 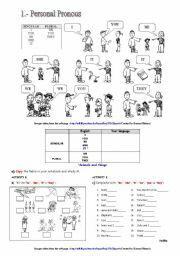 Powerpoit to present the verbs be, have and can at an elementary level. It can be for beginners too. Some exercises to revise connectors of addition and contrast in order to improve student´s writing. This is one of my favourite songs. My students have always liked, that´s why I´ve done it. 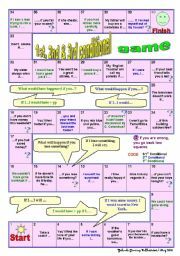 I also have a printable to work with students in the classroom. I hope you like it.